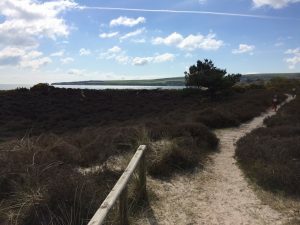 The weather planned a very breezy and fresh, but sunny spring day to accompany our plans to meet friends on this beautiful piece of coastline at Studland. We set off nice and early to avoid traffic, which meant that we then had the whole day to enjoy there. 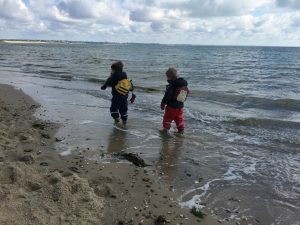 We chose Knoll beach for our destination, and another chance to use our National Trust membership, this time paying for the car park for the day. The children were fascinated and rather confused by the chain car ferry. That was an adventure in itself, albeit a short one. They struggled to grasp the boat on chains fact, before swinging to worry about the van sinking into the sea. Studland never seems to disappoint, and it didn’t this day either. 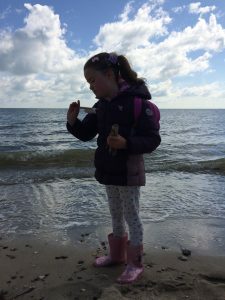 We did a loop circuit walk, starting by walking across the sand on the beach. 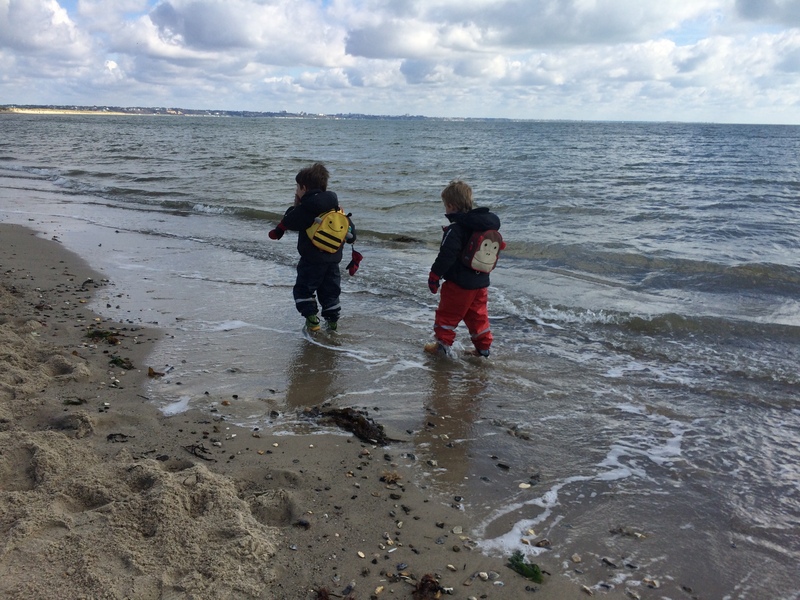 The boys decided to walk in the shallows, whilst our little lady filled her pockets and rucksack with as many finds as she could from the beach. 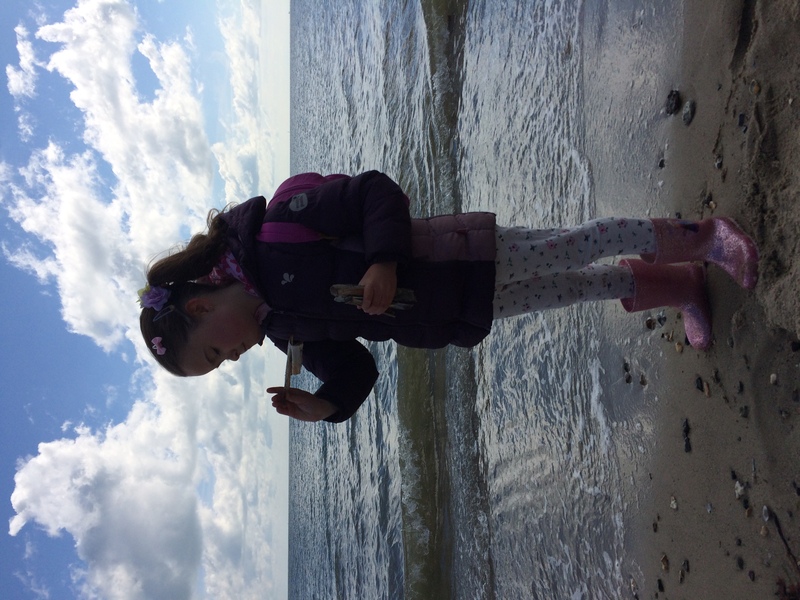 I just saw a cuttlefish heading into her bag in the nick of time…that might not have been pleasant when I sniffed it out in a few weeks! 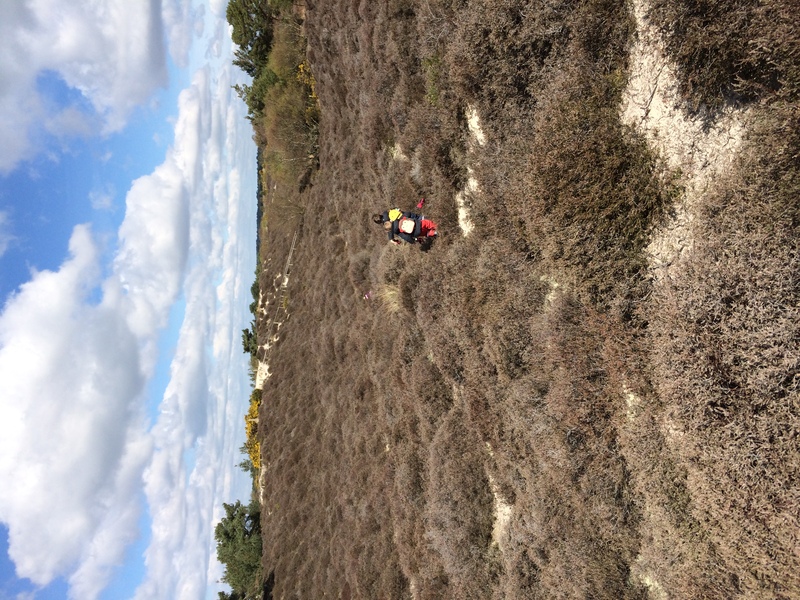 We then turned up the beach towards the dunes. The children loved these. 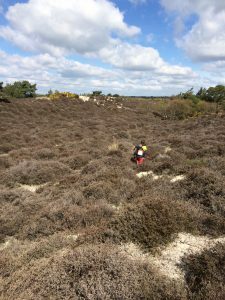 Running up and down them, and falling into the unexpected holes on the heathland, collapsing in giggles. It was another experience of playing on different type of coastal terrain for them. 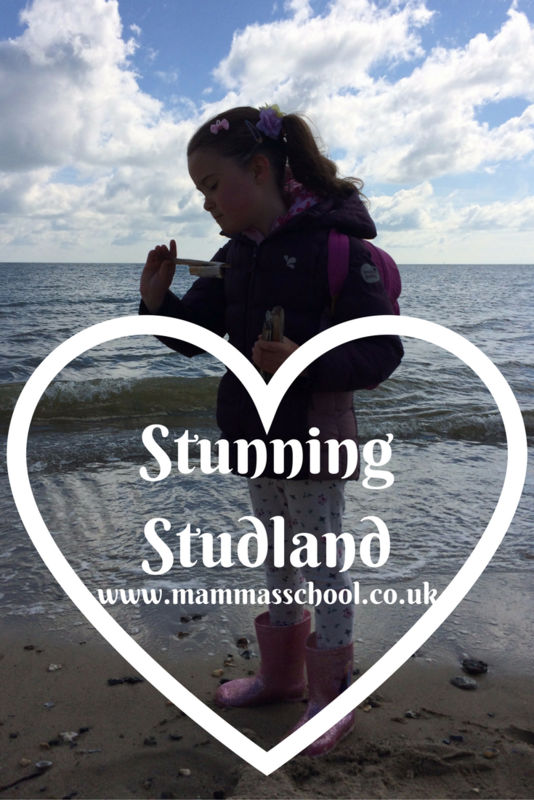 Studland is a great example of nature’s playground. With the children now ravenous we headed back to the National Trust cafe to devour our picnics. They had very kindly provided one of the best playgrounds ever, with around 20 pedalos on the beach, which were out of action for the day. The trio soon headed off to play pretend driving them (the best race ever for us parents as no one won or lost! ), moving onto pirate games on them, before an extended game of hide and seek in amongst them. 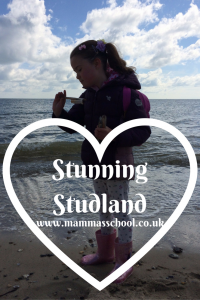 Studland is an amazing and stunning part of the coastline, and we had a very beautiful day there. 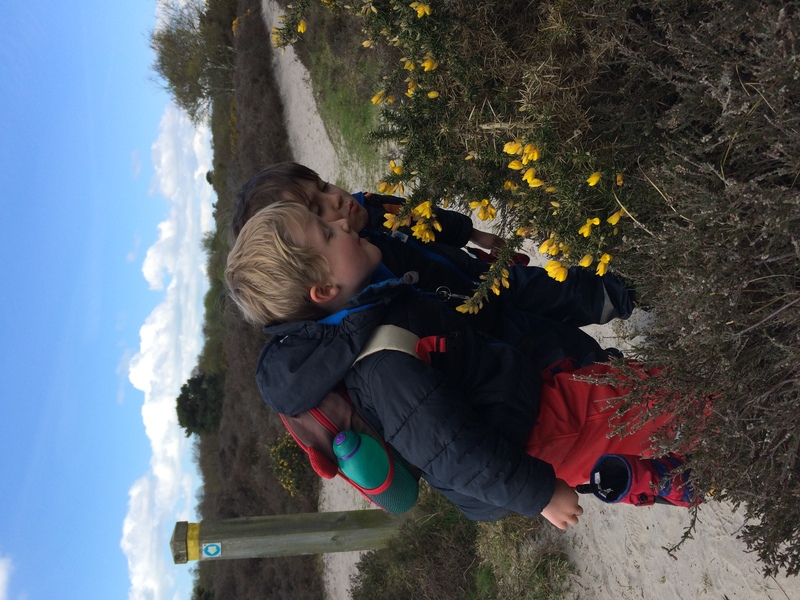 It has good facilities for families with young children, and a lot of fun to be had from the natural environment. Once again our three just indulged their make believe passions with what the environment provided them with. 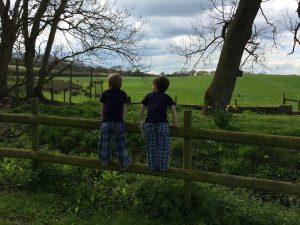 The trio were calm and happy, in the elements of the outdoors, and the great space afforded them a lot of freedom to wander off safely, still in our view, but feeling more free. We have a downloaded black and white version of the National Trusts initiative…50 things to do before you are 11 3/4. We tick things off as we go along. Today I picked up some more robust handbooks for them, larger colour posters with tick boxes which we will stick to each bedroom door, and stickers to put in the handbooks as they do each task. 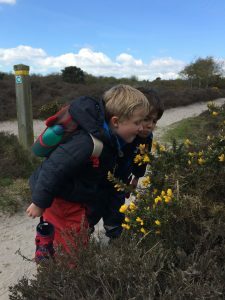 I will let each child take a turn in choosing something they would like to do, and then that will lead us onto another adventure. 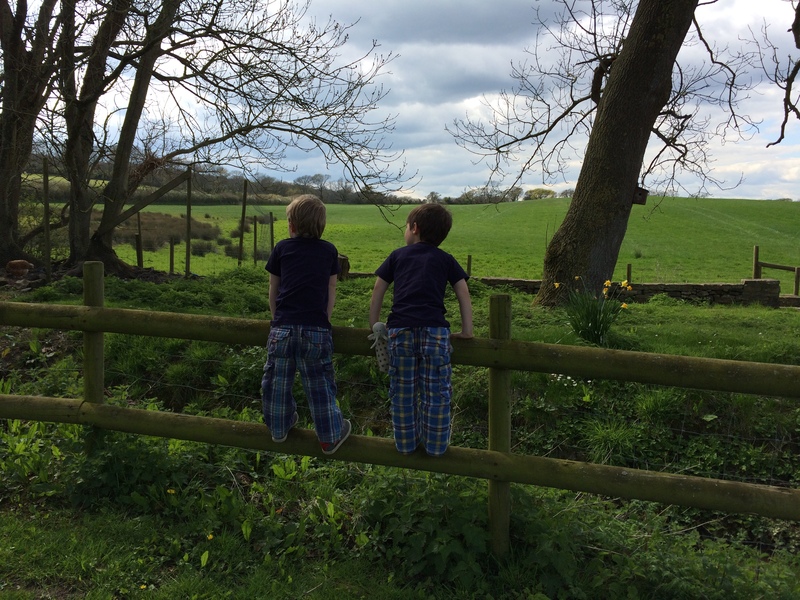 I’m off to bed now as shattered as the children are from all the fresh sea air!